Fryderyk Chopin is the icon of classical music and the real poet of the piano. 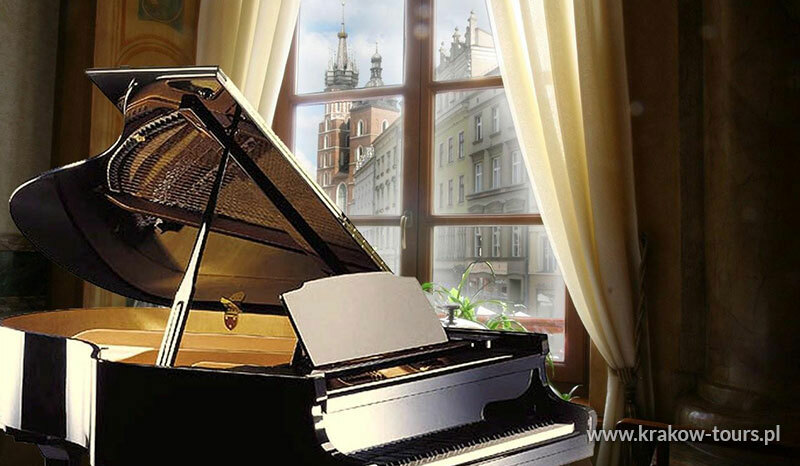 Now, the whole cultural world celebrate the bicentenary of the birth of this great Polish composer. Discover charm of waltzes, nocturnes, preludes, mazurkas, and polonaises on concerts at the heart of Krakow, European city of culture. From May to September - EVERYDAY. From October to April - FRIDAY, SATURDAY, SUNDAY. Wierzynek is a famous Polish restaurant with tradition dating back to 1364, when a wealthy Krakow merchant Mikolaj Wierzynek hosted a legendary feast in honour of king Kasimir The Great. Wierzynek Restaurant is a unique place, that will take you on a culinary time journey. The basis of the menu are old Polish recipes combined with elements of contemporary cuisine. Medieval interiors make prestige and royal hospitality of Wierzynek Restaurant remains unchanged for years. Wierzynek Restaurant is located in the heart of Krakow on the biggest medieval market in Europe directly at the Main Market Square on the corner of Grodzka Street.